Regardless of size, today's businesses are bombarded with structured and unstructured data from a variety of sources. Flowing in faster than ever before, the data is messy and overwhelming. Particularly at small to midsize businesses, strained IT resources simply cannot keep up. How can you take advantage of all this data? With in-memory analytics and data visualization techniques, everyone can get day-to-day insights for making better decisions. Even users with limited analytical and technical skills can quickly and easily explore data for hidden trends and discover new opportunities. 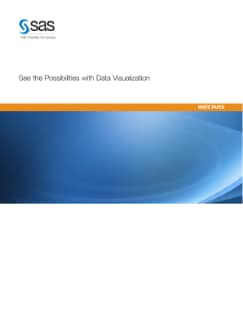 Learn how to get blazing-fast insights from all your data, without subsetting or sampling. So you can make more precise decisions – and succeed faster than ever before.